A review of the Gerber Health Insurance Company finds the Gerber Life Insurance Company, a name that somebody with a baby probably recognizes. Gerber Life Insurance Company commercials are often on television, offering life insurance coverage for children as soon as they are born. We understand if you are still looking for health insurance coverage. Just type your zip code in the box above to find the health insurance rates available where you live. 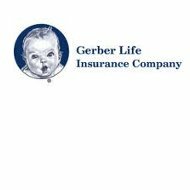 Gerber Life Insurance Company is an affiliate of Gerber Products Company, the makers of assorted Gerber baby food products. Gerber Life has been providing life insurance policies since 1967, with a focus on young families. Today, the company is licensed to sell insurance in the United States, Puerto Rico, and Canada, and has written more than three million life insurance policies. You can also contact them through email. The company is perhaps best known for its Grow-Up Plan, because of the commercials promoting it. Gerber Life’s Grow-Up Plan is a whole life insurance product meant to protect your child, while saving money for their future. The plan provides up to $50,000 of coverage, which doubles when your child turns 18. There is no additional cost when the coverage doubles. In addition, when you purchase the Grow-Up Plan, you lock in a premium rate that Gerber Life guarantees to never increase, even when your child becomes an adult. As an adult, your child will also have the choice to increase their insurance coverage up to ten times the original childhood coverage amount. Gerber Life guarantees this right, regardless of the policyholder’s health, profession, etc. Gerber Life’s College Plan is an endowment life insurance policy, permitting you to set aside money for your child’s future college education. You must pay the premiums, plus whatever else you decide to contribute each month, and then you will receive a guaranteed payment of $10,000 to $150,000 when your child is ready to go to college. Because the College Plan is an insurance policy, it will pay your child the full benefit amount as your beneficiary, if you should die before the plan matures. The College Plan is flexible, so if your child chooses not to attend college after all those years paying into the policy, you can use the money for anything you want. Gerber Life’s guaranteed life insurance is offered to help lighten the burden of final expenses, such as funeral services and burial costs. The plan offers up to $15,000 to help pay debts, and is available to those ages 50 to 75. Gerber Life’s accident protection is an accidental death and disability policy offering from $20,000 to $100,000 in coverage. The company touts policies that cost as little as seven cents a day. Coverage begins as soon as Gerber received the first premium payment. Approval for those between 19 and 69 years of age is automatic: No medical exam is done and no health questions are asked. Your spouse will also receive guaranteed approval. Lastly, as long as you continue to pay your premiums, the premium rate will never increase. Gerber Life is customer-centric, with a very user-friendly website. As a policyholder, you can log in on Gerber’s website to pay your bill, manage your policy, and check on a claim. You can also find the contact information to make any type of claim, get questions answered, or reach Gerber’s Rapid Response Line. Gerber’s customer service agents are well rated, and Gerber features positive reviews of its Grow-Up Plan on its website. Gerber Life Insurance Company has recently received an “A” (Excellent) rating from A.M. Best & Company for its financial strength, as well as an “a” for its issuer credit rating. The company has a stable outlook. If you are still shopping for health insurance, please type your zip code into the box below and we will gladly find you an assortment of health insurance rates for your area.